We continue on the collection of the most important architecture monuments of Buenos Aires: Casa Rosada, Palacio Barolo, Torre Monumental, Palacio de Justicia, Madero Harbour, and Museum of Natural Sciences. Perhaps, all of them also define the look of Argentina in general. The 3D models of landmarks, presented in our Buenos Aires flyover video, will help you to get a grasp on the true architectural and historical heritage of this place. We hope that photographs and historical facts will give you a better impression on each of these monuments. This information is also useful when making up your own excursion tour through Buenos Aires. » The Casa Rosada is the official residence of the president of Argentina. 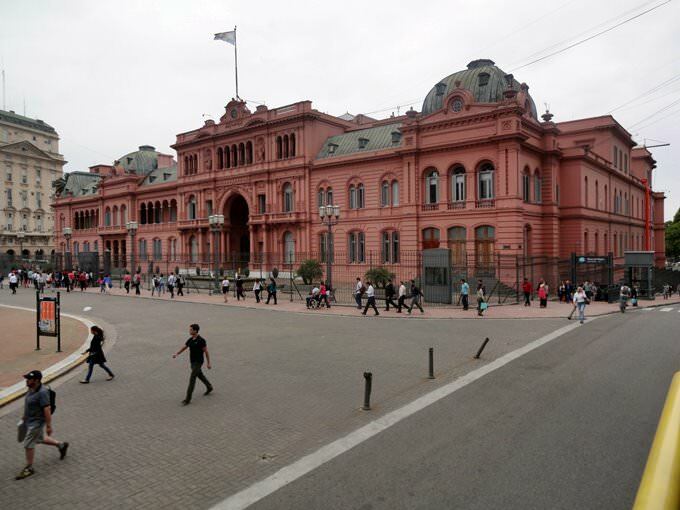 » The building acts as a museum, which houses exhibits related to the former presidents of Argentina. » The palace is declared a National Historic Landmark in Argentina. » One of the most famous attractions of the palace is the Rivadavia Hall. That’s the office of the President, named after the first president of the country. 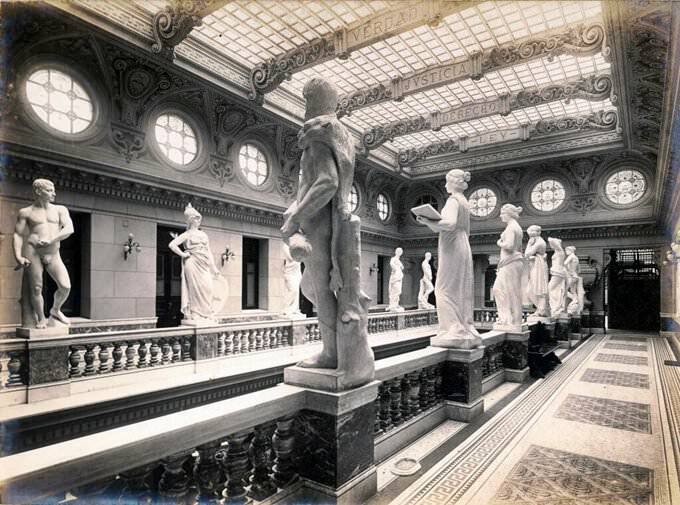 » There is a hall of busts in the palace, which houses many marble busts of the Presidents of Argentina made by different artists at different times. However, the list of presidents in this room isn’t complete, as there are busts only of those heads of state who have been elected legitimately. 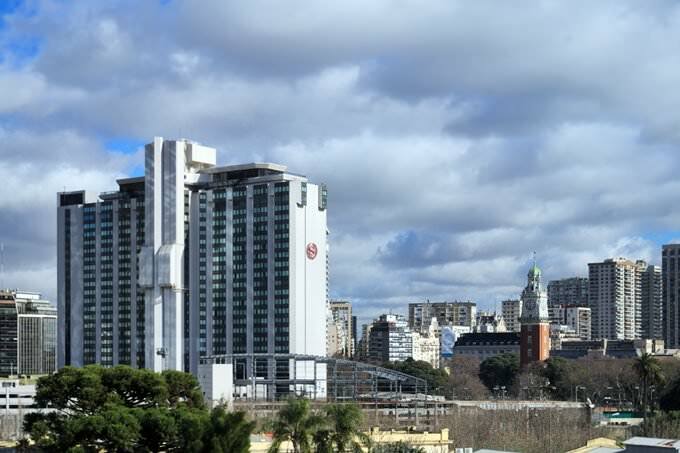 » Palacio Barolo is the high-rise office building located on Avenida de Mayo in the area of Montserrat in Argentina. 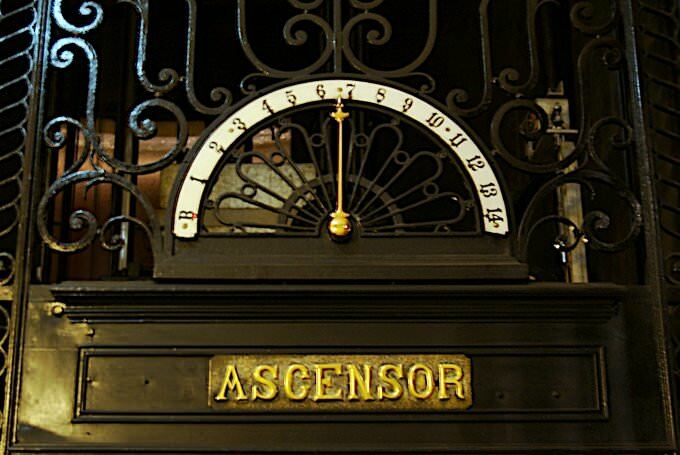 » At the time of construction in 1923, this building has been the tallest in Buenos Aires and throughout South America. » Since 1997, the Palacio Barolo has been a national historical monument. » Currently, the building houses several travel agencies, Spanish language school for foreigners, a store that sells clothes for tango, offices of accountants, lawyers, etc. In total, about 520 organizations work in Palacio Barolo. » The height of the building is 100 meters. Palacio Barolo has 22 floors. » Architect Mario Palant constructing the skyscraper was inspired by Dante’s Divine Comedy. Floors of the building are divided into three sections: the basement symbolizes hell, floors 1st to the 14th are an allegory of purgatory, and floors 15 to 22 minutes symbolize paradise. Lighthouse, located on the top of the tower, features the sculpture called Nine Ranks of Angels. » Torre Monumental is the clock tower built by the Argentine of British origin as a gift to Buenos Aires to mark the centenary of the May Revolution in 1810. » The tower was built in the Palladian style. The building is decorated with symbols of the British Empire, including thistle, rose of Tudor, the Red Dragon of Wales and shamrock of Ireland. » The tower reaches a height of 75.5 meters and has eight floors. » Turret clock is mounted at height of 35 m.
» The bell tower mimics the one of Westminster Abbey. » Built in the 1890s, Palacio de Justicia was designed by architect Norbert Maillart; the building was built in Greco-Roman style. 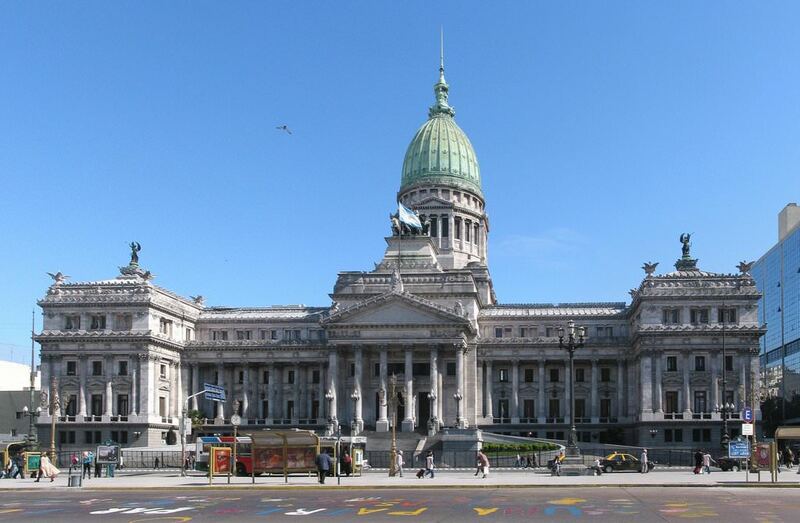 » In 1942, Palacio de Justicia housed the national court in Argentina. » The statue of the goddess Themis, which symbolizes justice and fairness, can be seen in the main hall of the Palacio de Justicia. » Typically, the courthouse is open to the public, but numerous demonstrations and protests forced local authorities to place patrols and security all around Palacio de Justicia, so tourists temporarily can’t get inside this magnificent and very beautiful palace. Facts: » The Madero Harbor is one of the objects of Puerto Madero project, the essence of which is to re-use and develop the territory of the old port of Buenos Aires. » Madero Harbor is the high-rise building occupied by offices, schools, residences, hotels, spa center, swimming pools, a helipad, green spaces, garages and a shopping center featuring a supermarket, a fitness center and cinemas. » Madero Harbor is one of the major business projects in Latin America. Facts: » The Museum of Natural Sciences is the oldest museum in the country, built in 1823 on the initiative of the first president of Argentina Bernardino Rivadavia. » The museum occupies a magnificent mansion in the Italian style. » Exhibits in the museum are distributed over 15 exhibition halls and grouped by species or habitats. » The museum has the Hall of Dinosaurs, where skeletons of ancient dinosaurs, collected mainly from the bones found by museum staff in the course of excavations in Patagonia, are represented. This guide to architecture monuments in Buenos Aires is protected by the copyright law. You can re-publish this content with mandatory attribution: direct and active hyperlink to www.orangesmile.com.